A senate education committee is reigniting a heated debate over arming Florida teachers. Senate Bill 7030 outlines several school security changes following last year's mass shooting at Stoneman Douglas High School. 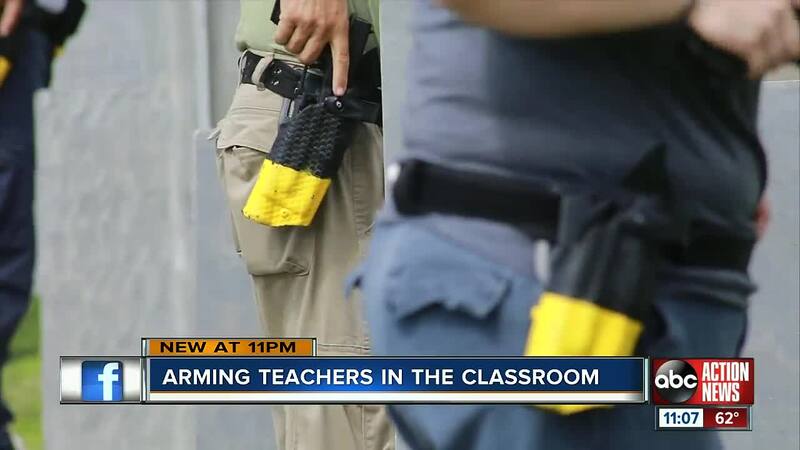 The state Senate Education Committee is now proposing allowing teachers to join the ranks of the armed Guardian program . “Teachers have way too much on their plate right now," said Paulette Pea. "The classrooms are oversized, they got to keep the attention spans of the kids." Pea, a Hillsborough County mother of two who retired from the U.S. Air Force, does not support arming teachers in public schools. “A person has to know when to pull that gun, when to use it and to be in a classroom setting, no, I don’t think they should have them," said Pea. Also outlined in the bill, armed guardians must complete 132 hours of firearms training, including 8 hours reviewing active shooter scenarios. The committee will hold its first hearing on this bill on Feb. 12.